Do you wish to backup your Android mobile device from data loss? 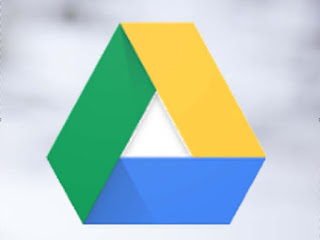 Then don’t hesitate to consider Google Drive application for saving your files and documents which can be accessible by other devices you login with such as your smartphones, tablets and your PC Desktop computers. With Google derive app, you can secure and backup or safe files like videos, photos, and documents etc. and have those files restored to your mobile or pc devices when you lost them or bought a new phone. After saving your files in Google Drive backup system, you can actually invite others to view, write comments or even edit any of the files or folder. Everything will be done on your permission. > With this app you can safely store your important files and access them from anywhere. >You can quickly view your content saved in it. >Perform search to your files by name and content when trying to locate any of them. >With Google drive Android app, you can easily share your files and folders to others. > Configure the access levels and assign authority to who can view, edit or make comments. > Access recent files quickly. > Information or details of files and activities are kept recorded. > Permits viewing of files in offline mode via the mobile application. > Quick access to videos and pictures from Google photo. Google Drive happens to be a cloud storage made available for Android users. The memory size for each location assigned to a user is 15GB free permanent storage space.